Right now I’m almost 20 weeks pregnant and my gosh, time is flying! Bump is gradually growing (I had to give and buy my first ever pair of maternity jeans from H&M – the comfiest things EVER), but other than that I feel pretty normal: I’ve got enough energy to workout daily, go on 5 mile walks, get through loads of work, attending events and also allowing time to chill and rest. 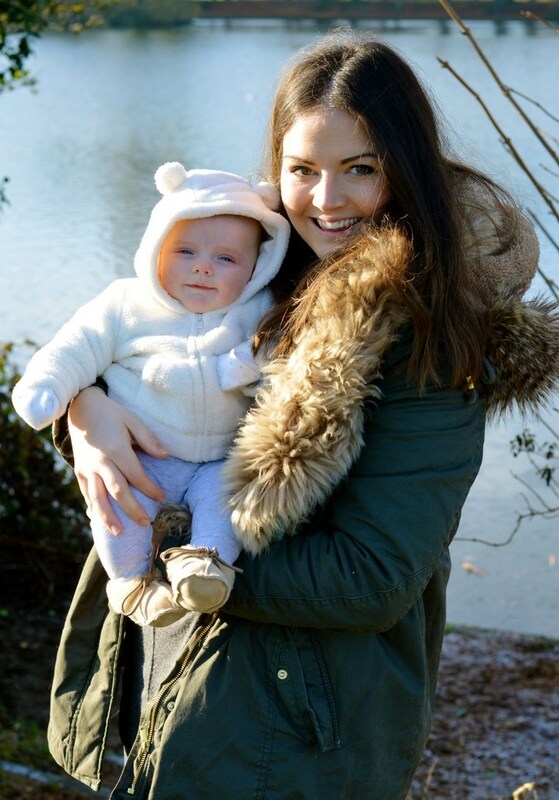 One of the biggest things for me throughout this journey so far is keeping healthy, so I’m absolutely delighted to share the first part of this series from some of the women who inspire me, have been through this process and are doing amazingly well whilst being a mum. Whether you’re going through your first pregnancy like me, or you want to take more care of yourself next time around, I hope you find these tips as useful as I have! 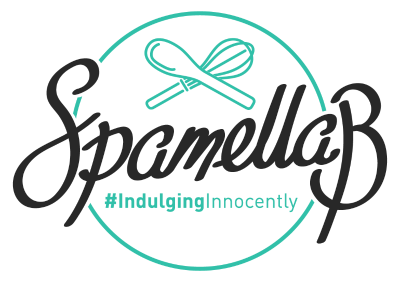 Freelance health and food journalist / recipe developer. Professional nut butter addict, fitness & sports fan, lover of good food. For me, pregnancy (and, weirdly, labour!) was the most joyous, wondrous and magical time. Yet, as I’m sure most mums will tell you, it wasn’t without its hurdles! I have three boys who are very close together (my eldest, Zayn, is only four), so I pretty much had back-to-back pregnancies. I was very lucky with my first pregnancy and sailed right through. However, the second and third weren’t so simple with a toddler in tow, and dreaded SPD and pregnancy insomnia! Still, along the way, I have picked up plenty of tips. 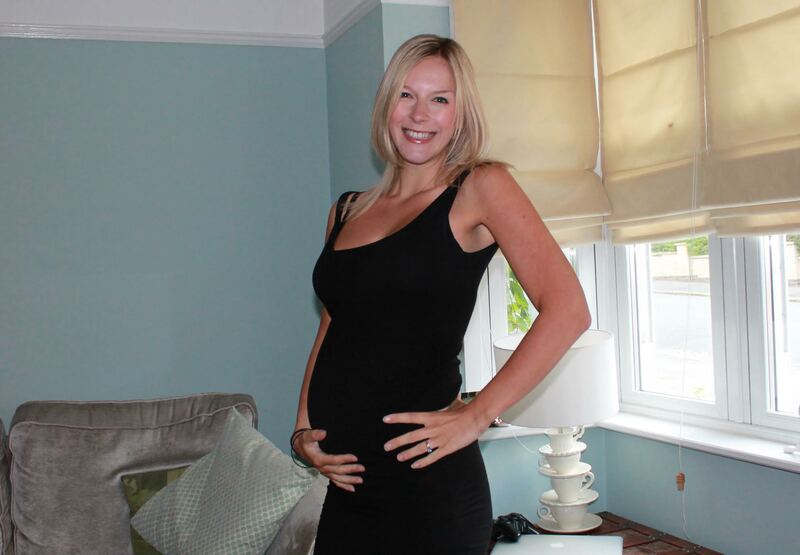 Here are my favourites for enjoying a healthier, happier pregnancy – and post-labour! Looking incredible with that bump! For me, this is an important one. Perhaps the most important, and it’ll serve you well all the way through motherhood, too, when everyone seems to think they know better than you! Right from the precious moment those blue lines appear on the screen, it seems that you’re bombarded with advice. Usually from well-meaning people, but it can confuse the hell out of you! Every woman knows her body better than anyone else, and you should always try to remember that. You know your limits, you know your strengths and, if you listen closely, you often know when something isn’t quite right, too. If someone tells you you’re fine and you don’t feel it, trust your instincts and get checked out. The foods you eat during pregnancy are the building blocks for that tiny, growing baby. And not just while they’re safely tucked away in your tum, too – what you eat during pregnancy can impact them for life! It’s important to eat as healthily as you can during pregnancy (although, let’s face it, the odd bar of chocolate when you’re feeling hormonal works wonders! ), and now is definitely not the time to diet or skip food groups. Pile your plate high with rainbows of fruit and veg, good fats (I ate an avocado a day and plenty of fresh, wild salmon when I was pregnant), lean protein and complex carbs. 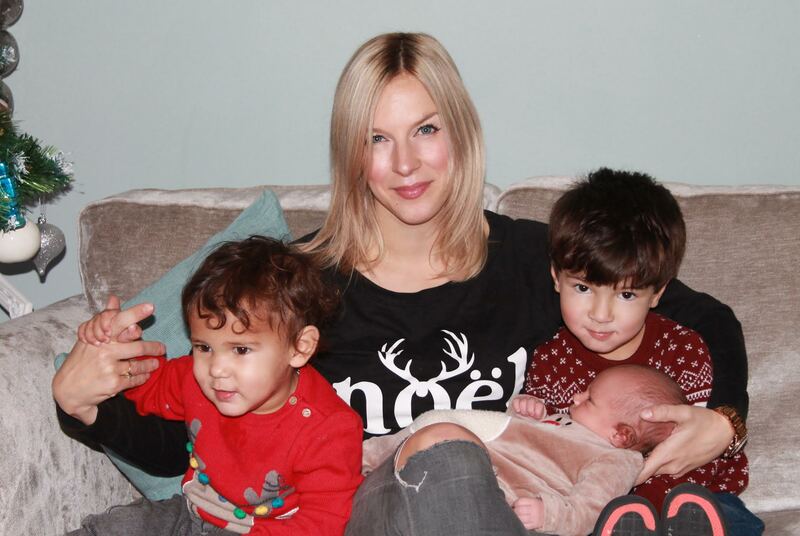 Weirdly, all the foods I craved during pregnancy – 100% dark chocolate, avocados, salmon – are the foods my boys love now! Odd, huh? While the first trimester is pretty draining, make the most of any energy that swings your way during the second and third trimesters. Hurrah! Wherever you can, get moving and exercise (although check with your midwife first) – it’ll help you to feel fitter and stronger, both during pregnancy and after birth. Plus, I promise it’ll help you in labour, too! You need that stamina, guys. 😉 It doesn’t need to be a marathon, and now isn’t the time to throw yourself into a new regime. Just take it slowly and see what your body can handle! I liked mixing in pregnancy Pilates, Yoga, ballet and some cardio and light weights, too. This was the best thing I ever did, and taught me to breathe properly during labour – hands-down the most helpful advice anyone ever taught me. I was lucky enough to enjoy home births (magical! ), but I wouldn’t have got through it without the techniques I picked up during pre-natal Yoga. In fact, there was a huge difference in pain in contractions when I stopped using the right breathing techniques. I made some fab friends, too! My coconut oil (I swear by Lucy Bee) was my best friend all the way through. I used it on my face, knowing it was a safe, chemical-free cream to use, and I slathered it on my body, growing bump and even hair. I am stretch mark free, and ever grateful to that amazing coconut oil! There’s a teeny little person sapping your energy and taking up all that you have. Yet, wait a moment – it’s OK to spoil yourself, too! Run yourself a soothing bath, book in a pregnancy massage, go to bed early, treat yourself to some new maternity clothes that make you feel glam, and get some new make-up. It’s OK to pamper you! And, if you want to go overboard with buying baby grows, then damn well do it! Enjoy – that time won’t be here forever! 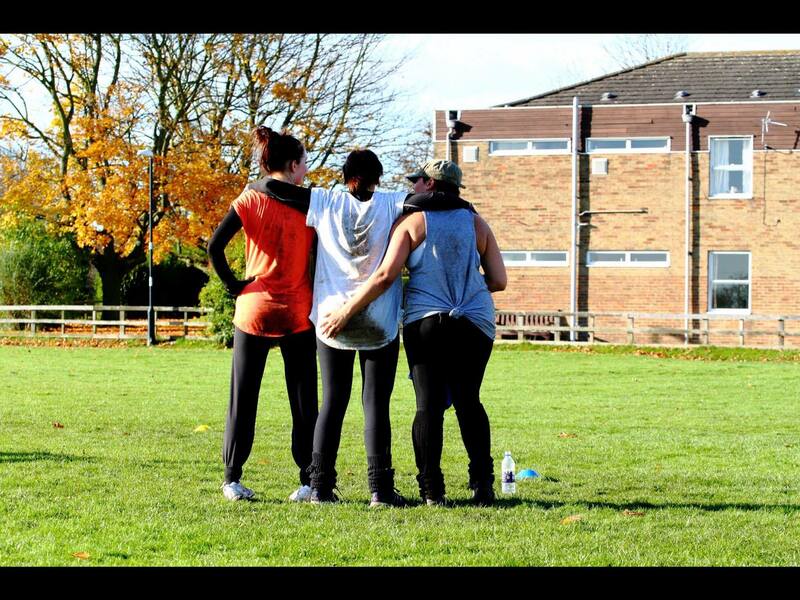 North Yorkshire based Personal Training, Kettlebell Classes and Bootcamps. Eating Clean and Living Lean For Life. LIVE, LOVE, LIFT. We know how easy it is when the experts say, don’t eat too much when your pregnant, stay away from refined foods, eat plenty of fruit and veg. It’s easy to say this but every pregnancy is different and if, like mine, it was hard as I couldn’t bare the smell of chicken and broccoli – let alone eat it. So you have to try and adjust to a healthy lifestyle to suit your own needs. This is my view from being a qualified PT and also from a Mummy to be. You want to keep your workouts up throughout your pregnancy, no matter what they are, so the best thing to do is to write them down for the week. Everyone is different but decide on how many times a week and what you want to do. Sounds simple but with low energy levels and a busy lifestyle I needed some structure somewhere! Low in energy and can’t bear to go to the gym/exercise class? Don’t punish yourself – just go for a good old power walk instead, this option really worked for me. Headphones in and get your stride on, squeeze those glutes with every step and aim for a steady cardio state you will be surprised how sweaty you get. This works for if you were a running lover too, when you get too big this is a more comfortable option. Snacks, snacks, snacks: Keep nuts, healthy nut bars, fruit, anything that you think you may fancy (because you will never know what you might crave) in your handbag, glove compartment etc. The worst thing I could have done was get hungry – low blood sugar can lead to dizziness and being hangry pregnant is not a good combination. Every pregnancy and birth is different. Always focus on your own body and don’t look on Instagram or Facebook at a comparison. It can be very tempting to look at one mum’s weight gain and compare with yours. It’s your pregnancy and body. Learn to love the journey and not dwell on that lumpy bumpy cellulite that you have just caught a glimpse of. You will soon get rid of it once that baby is here! I didn’t have the easiest start to my pregnancy as I suffered Hyperemesis Gravidarum (non stop nausea and sickness up to 40 times a day!) for the 1st 13 weeks! During that time I was unable to eat or drink, even sipping water was hard! 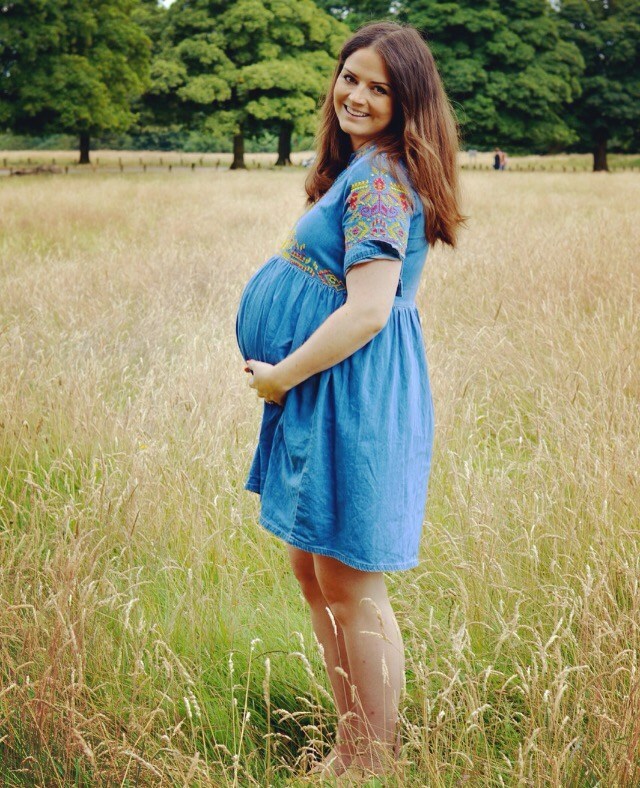 However as soon as 13 weeks started I was free from HG and felt really well for the rest of my pregnancy and never experienced the feeling of being “really pregnant”, heavy or tired. I was full of energy, my hair was thick and glossy, my nails strong and my skin clear and glowing, a complete flip reverse of the first 12 weeks I can assure you! I have to say having never felt body confident, having a bump made me feel feminine and gave me a real boost. I am Type 1 Diabetic so was incredibly aware of my health throughout my whole pregnancy, what I was eating and drinking. I stuck to a healthy fat, high protein, low carb diet with lots of vegetables as this kept my blood sugars balanced as well as giving me and the baby lots of nourishment. I walked daily uphill and downhill. 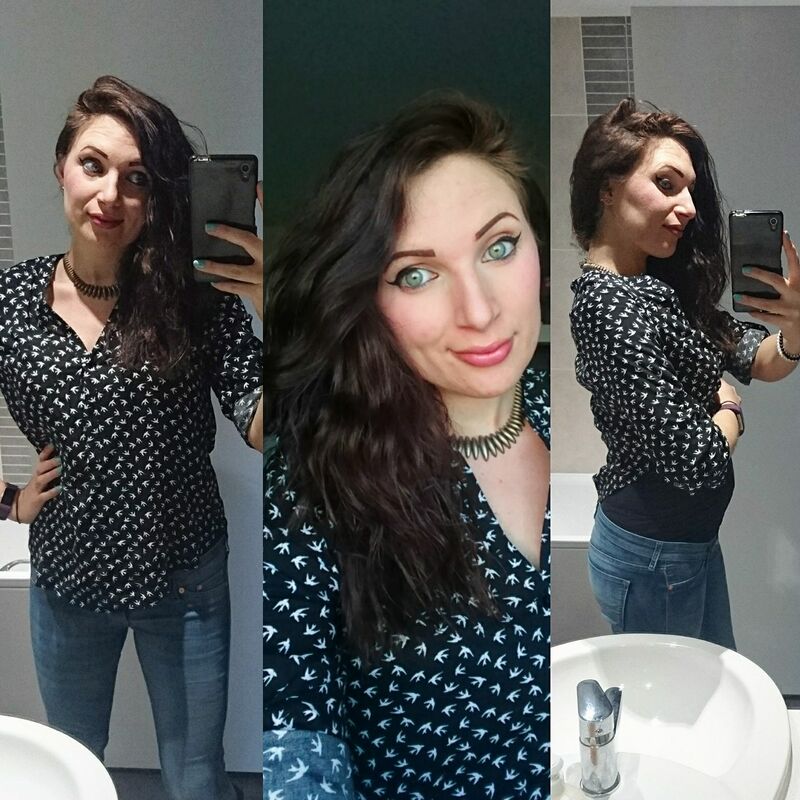 I was heavily pregnant during the Summer so it was a little hot, but I still did it as it made me feel well and gave me lots of energy and endorphins. I drank SO much water and I would make peppermint tea and then put it into bottles and keep it in the fridge so that it was really cold, which I found so refreshing. I checked my blood sugar a lot. If you are T1Diabetic or have Gestational Diabetes, it’s really important to check your blood sugar at least 8 times a day, having high sugars can be damaging for the baby, so to ensure you have a healthy pregnancy and baby it’s best to endure a few more finger pricks! Supplements / vitamins wise, I took a high dose of Folic acid for the first 12 weeks and then a multivitamin throughout pregnancy. I also took 75mg baby aspirin every day to help prevent pre-eclamsia. I listened to my body, if I felt tired I napped and if I felt hungry, I ate. I’d like to say a huge thank you to these lovely ladies for taking the time to share these sound pieces of advice on my blog. Stay tuned for part #2 next week!